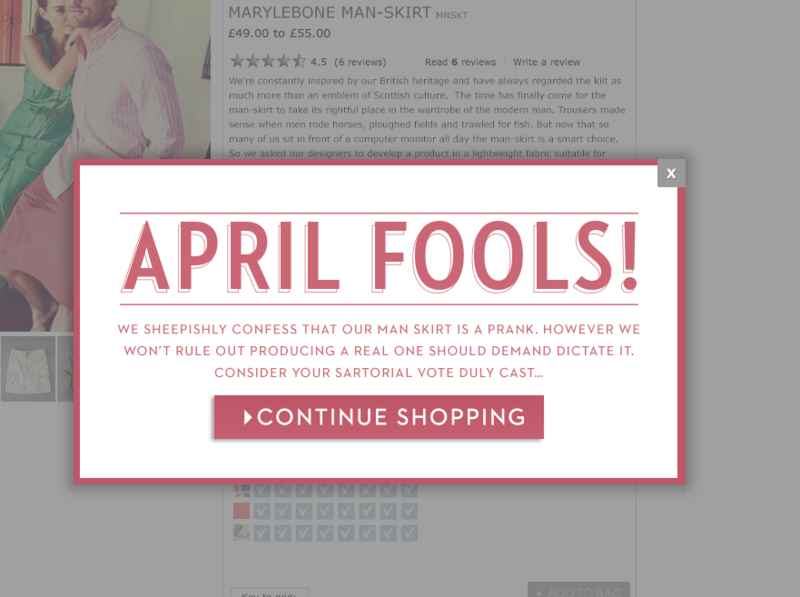 April Fools’ Day is tomorrow, offering the rare opportunity to prank your customers and get away with it. In all seriousness … to be effective, an April Fools’ email must both delight and provide some value to your list (even if that value is just a laugh), without being a nuisance or offensive. 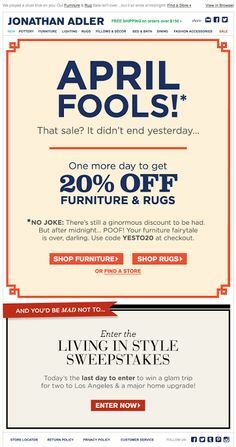 If you need any inspiration for how to appropriately play a last minute prank on your customers, check out some of the best email tomfoolery from the past below. 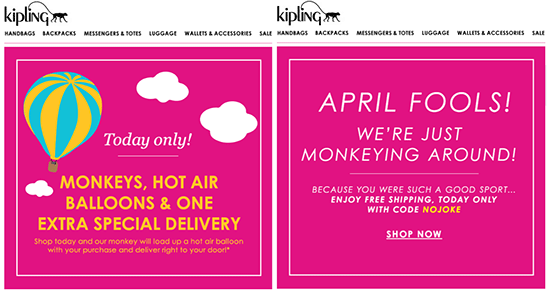 Kipling sent a cheeky April Fools’ GIF via email that … seconds later … followed-up their prank with a great offer. 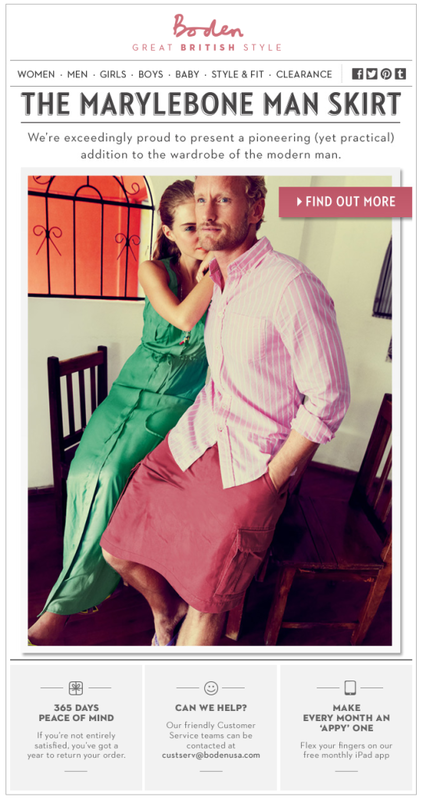 UK retailer Boden committed to the joke, offering the “MARYLEBONE” man skirt in an April 1st email. The prank wasn’t revealed until the recipient clicked through to the landing page. Jonathan Alder creatively leveraged the day into an excuse to extend a sale. If you decide to send an April Fools’ Day email this year, let us know how it went and we’ll feature it in a follow-up post. This entry was posted in Email Marketing on March 31, 2016 by Amy Mullen.